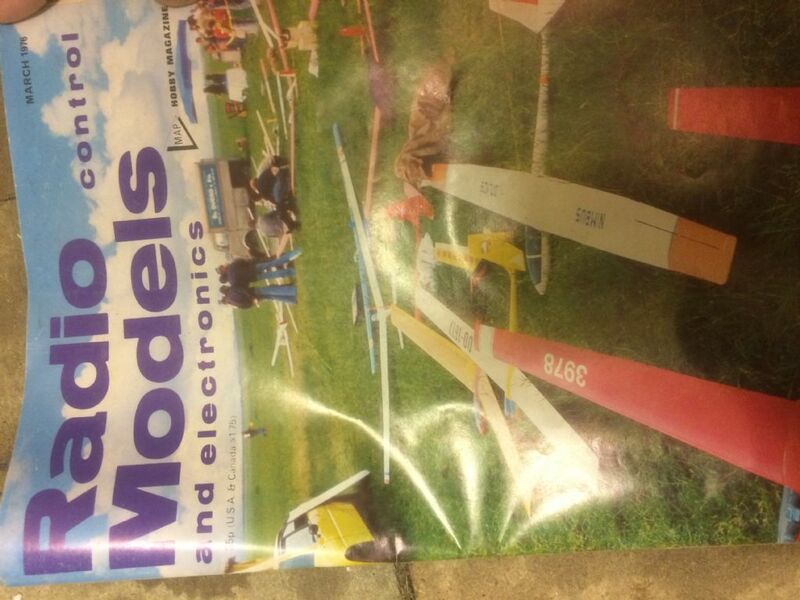 Just returning to R/C after many years and found an old advert in my garage for a model kit that I built, that was used in an advert from about 1975. 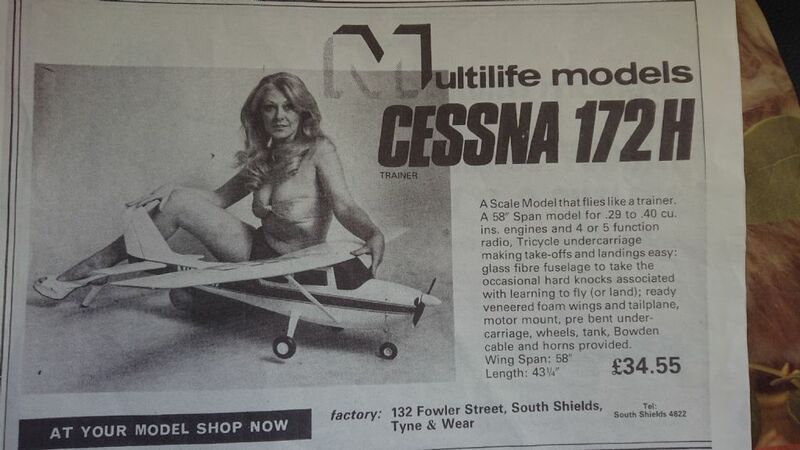 It was for a local North East firm called Multiliffe and was a high wing trainer. The company also produced a couple of scale models, a Red Arrows Hawk and a Vought A7U Cutlass. The main problem as I remember was that they didn't fly very well ! I remember the advert for the Cutlass had a female model in a bikini holding the model with the caption "Why not try a slow roll with our new model" Ahh the 70's, can you imagine that now ? I must admit, the company name doesn't ring any bells with me. A very quick google search for the name just brings up this thread. On the other hand your description of the advert for the Cutlass does sound familiar! Did we ever sell them in the Newcastle Model Shop when we were there? Nope don't remember those I'm afraid, even though my subscription to RCM&E began in 1972. IIRC Multilife were based in South Shields. I have a kit of one of their more mundane models, a GA Skyfarer. It's a high wing trike with twin fins, fibreglass fuselage & foam veneered wings. Actually it's more of a part kit, some parts need to be sourced separately, I assume all their kits were like that. Just like this one Pat. Yes John we used to sell them in the old Blenheim Street shop back in the days. In fact the guy who owned the business brought three of the first kits in and asked us to build them. A lad called Hughie built the Cutlass and the Hawk and I built the trainer. I have a picture of the advert that my model was used in but I'm not sure how to post the picture. The last small aircraft I flew in with a friend was a Cessna 172. It was piloted by a female pilot Margaret who was very entertaining, but she had about 5 attempts to close the door on her side of the plane before we took off. We flew from Shoreham in Sussex over Brighton including the race course where a horse race was about to commence. Margaret looked a bit like the woman above but was dressed in a smart pilot's uniform. A great experience. I think the Multilife kit is about 60" span, IIRC your model is 72" built from the Phil Kent plan. Nice job you've made of it, Jim. I have one of the Cutlass models in the garage loft, picked up for buttons at a club auction. It is complete and detailed, equipped with servo driven retracts. There is no indication that an engine has ever been installed. The finish has suffered somewhat with age but if time ever makes itself available, I have often thought that it would convert to lekky power nicely. 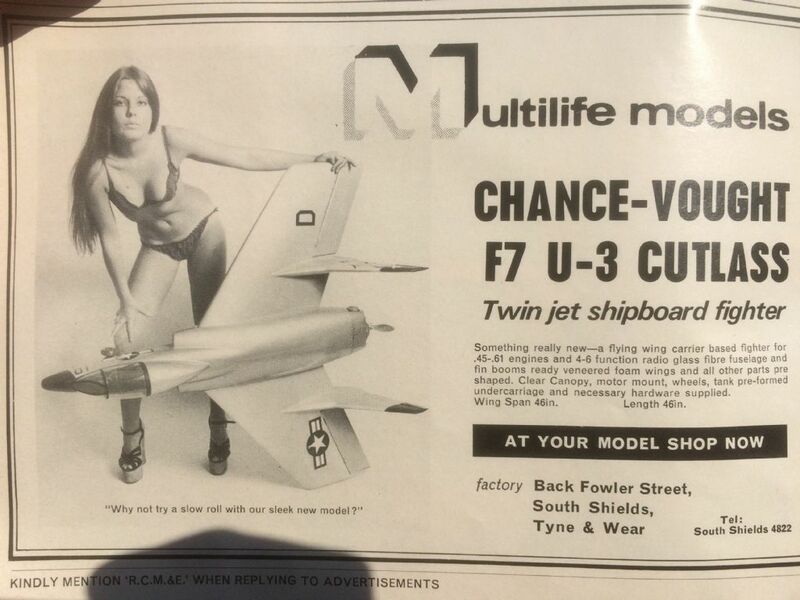 At the time it arrived I had no idea what the parentage was and much later stumbled across an old mag with an ad for the model complete with bikini clad adornment as described above. The mag is now stored with the model but neither have seen the light of day for several years. I wouldn't have recognised the Multilife name although I was modelling at the time. I doubt that many models escaped the 'factory' at the time. Funny to think that the lady in the photo will probably have a bus pass & qualify for the cold weather allowance. In fact I'm sure I saw her the other day playing with her grandchildren on the beach at Whitley Bay. I'd bet she is St still a looker. I went out with a model until her mother tricked us both into a split. ( never found out til much later ) I met her a few years ago and she is still a beauty in her 70 s However to the pojnt ( why red line under point?) ( not under this one --weird ) Anyway I was given that kit as a birthday present but never built it. It disappeared during one of my moves ( stolen? maybe). It was as far as I recall a very complete kit. Only needing R/C and power although I don't recall any covering material. Does no-one know who produced and sold these kits then? Multilife Models was a small private company set up to build and market almost ready to fly E/C models. They were based in South Shields and sold their kits via model shops and I believe mail order. I don't know when they ceased trading or what happened to the moulds.